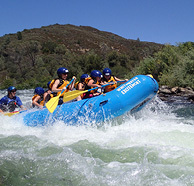 Description: For those of you seeking a premier Class IV adventure, our ½ day trip includes the 12.5 miles section of the North Fork American river in an afternoon setting. 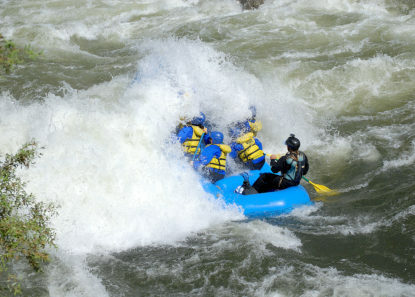 The most demanding, tight, technical river rafting trips we offer. 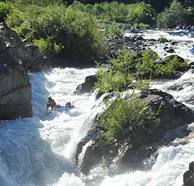 A North Fork American river 1/2 Day river rafting trip is unlike any other. 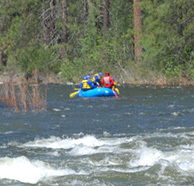 Only available in the spring, this seldom rafted river has California river rafting all over it. Itinerary: We meet you and your group in Auburn, CA, usually around 12:00 noon, check you in, and take a short van ride up to the launching area, near Colfax, CA. 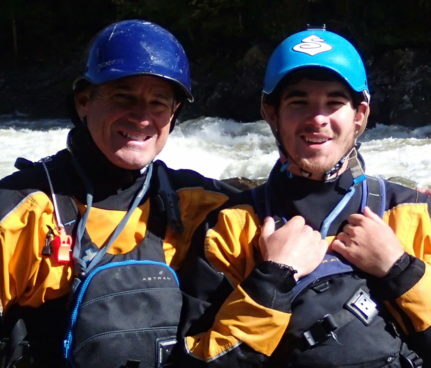 You will then be issued a wet suit and rafting windbreaker to change into to make your river rafting trip on the North Fork American river as comfortable as possible.